“If any man could arrive at the exterior limit [deepest space],… he would see a world beyond; and if the nature of man could sustain the sight, he would acknowledge that this other world was the place of true heaven and the true light and the true earth.” Socrates, 400 B.C. We have come a long way since Socrates, Galileo, and von Braun. Within two decades from now, NASA is planning to land men on Mars. A medical degree is the second most common doctorate for astronauts. 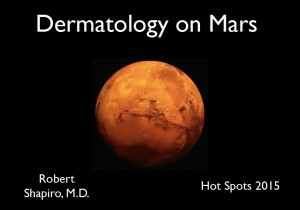 It is expected that a physician will likely be on any Mars mission. There was a Space Dermatology Foundation, which was active from 1986-1993. 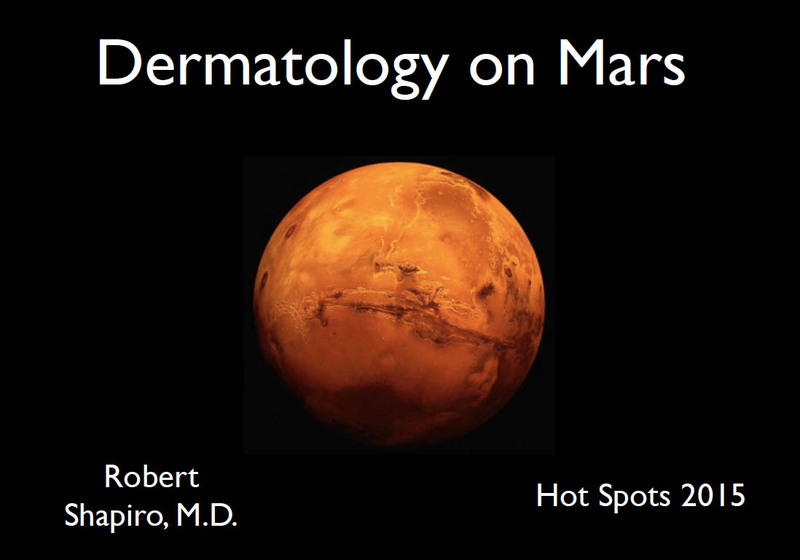 Dermatologists should revive their interest in space medicine. Thirty-nine percent of astronauts report skin findings. Space exposure causes aging of the skin, evidenced by loss of elasticity, atrophy, as well as increased risk for skin infections, prolonged skin transit times, alteration of immune function. Research in space medicine may give insights into important aspects relevant to earth-bound medicine including osteoporosis, radiation protection, muscle atrophy of the bed bound and elderly. Advances in high-tech medical care, including the development of autonomous robonaut surgeons and implantable surgi-bots may be used on earth as a result of the need to develop them for space use. Computer augmented humans as well as genetically modifying astronauts may be important advances needed for exploration space missions to Mars in the future.